A big thanks to Squeaky Books for giving me my first award. Thank you so much for the lovely award! Thank you SO MUCH for the award! 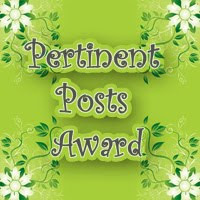 I've put it on my awards page so you can see it there! Thank you so much for giving me this award! I'm honored!